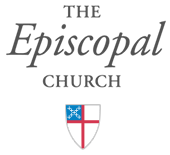 Each year, parishes are required to submit their Annual Vestry & Church Leadership Form in effort to prepare information for Annual Convention. We have streamlined this process and have created the option to submit this form online. To complete the Vestry & Church Leadership Form, click here. For questions, please contact Canon Alexis Guszick, aguszick@diocesecpa.org or (717) 236-4059 x. 1108.